Über Uns - Gasteiner ist das beliebte Mineralwasser aus Österreich! Our Gasteiner mineral water is sourced from the depths of the high alpine, untouched mountain world of the High Tauern. 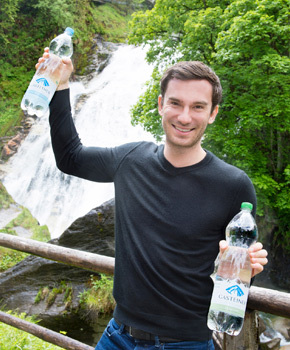 The minerals and trace elements that it absorbs on its way through the mountains make it one of the purest mineral waters worldwide – and that is something you can really taste! Its balanced, fresh, natural taste has made Gasteiner one of the most popular and well-known mineral water brands in Austria. In our modern plant at Gasteiner Erlengrund, we bottle around 55 million glass and lightweight PET bottles a year – that is around 500,000 hectolitres of crystal clear water from the mountains! A team of 37 employees make sure that your Gasteiner always provides you with first-class refreshment.